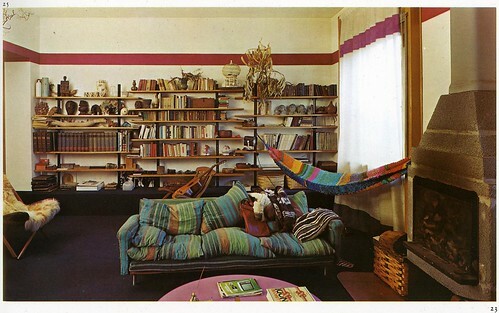 These staggered, airy midcentury modern arrangements are so much less chichi than the many fancified contemporary bookshelves you see around. I love this simple, balanced living room belonging to Italian architect Egle Amaldi in the 1960s. The bookshelf—its shape and the way it spans the whole width—is probably the key to the room.